In recent weeks, there have been scores of bomb threats against US Jewish organisations and at least three other Jewish cemeteries have been desecrated. NEW YORK: Five tombstones were overturned in an historic Jewish cemetery in Brooklyn, the latest in a spate of apparently anti-Semitic incidents across the United States, media reports said today. 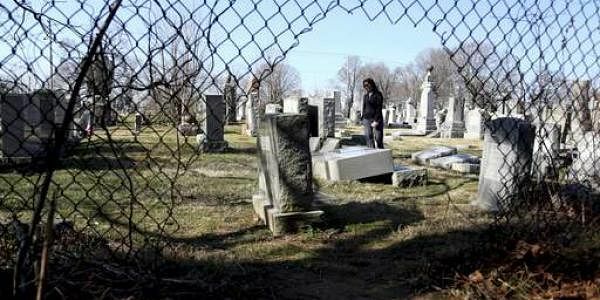 CNN reported that the act of vandalism at Washington Cemetery in Brooklyn and was being investigated by a hate-crime task force of the New York City Police Department. Some critics have blamed President Donald Trump's sometime incendiary rhetoric and policies, which they say stokes feelings of insularity and xenophobia, for the sharp rise in acts of intolerance. The Anti-Defamation League, a national civil rights group dedicated to the fight against anti-Semitism, said last week there have been 121 threats against Jewish schools and civic groups in the US since January 1, labeling the surge an "epidemic."